Groove With The Soundpet | OhGizmo! By Tanya on 03/22/06 • Leave a comment! 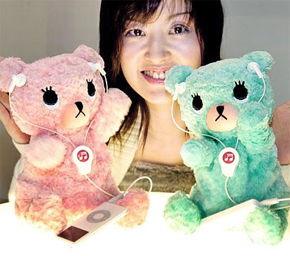 The Soundpet Bear follows in the tradition of toys like iDog, iCat etc and scores a big 10 on the cuteness factor. So what do these cute little things exactly do?